Lindsay Bearup samples water in an area infested with pine beetles. It’s no secret that mountain pine beetles have ravaged the lodgepole pine forests of Colorado and the Intermountain West. Take a hike in Summit County, for example, and the reddening, dying or dead trees are everywhere, their trunks pock-marked with blond sap pustules left behind by the beetles. Scientists predict that 95 percent of mature lodgepole pines in Colorado will ultimately die. These huge stands of dead lodgepole have raised widespread concern about fire; however, few have considered the impact on another element of nature that is of vital importance to Westerners’ water. Reed Maxwell, an associate professor of geology and geological engineering at Mines, has wondered about it a lot. In particular, he’s concerned about the effect the lodgepole massacre will have on the headwaters of the Colorado and South Platte rivers, systems that together provide water to 90 million people. The amount of water flow, and its quality, will change. “It’s a land cover change we haven’t seen before,” he says. Maxwell, a member of the Hydrologic Science and Engineering (HSE) program at Mines, was recently awarded a $3 million National Science Foundation grant to model the effects of the pine beetle infestation on water in Colorado over the next five years. To answer questions about the effect of the dying trees, Maxwell and his team are creating a custom version of a hydrologic model that he helped develop. ParFlow, as it is called, will be applied to the entire headwaters of the South Platte, northeastern Colorado, the Front Range and South Park, and the headwaters of the Colorado River in north central Colorado. With information about the vegetation, relief and geology of the area, the model uses scientifically based assumptions for how streams flow, groundwater percolates, plants draw and release water, and water moves between earth and sky, to predict outcomes that reflect the real world. 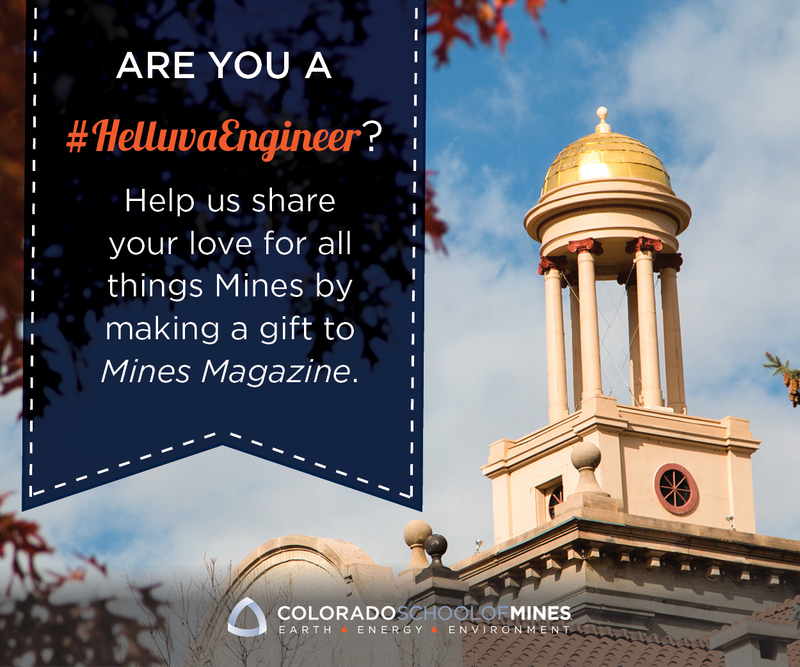 Hydrologic modeling isn’t the only way in which Colorado School of Mines is involved in hydrologic research. Members of the HSE Program ’25 faculty from geology and geologic engineering, civil and environmental, engineering, geophysics, and chemistry, as well as 50 graduate students, are involved in everything from aqueous geochemistry to contaminant remediation to water policy and law. Nor is the pine beetle project the only way in which ParFlow has played a starring role. Recently, it was plugged into the land surface model of the National Center for Atmospheric Research’s Weather Research and Forecasting model (WRF, pronounced ‘warf’). This model has 10,000 users worldwide and makes up a part of nearly every weather forecast in the United States. In the future, Maxwell hopes to further use hydrologic modeling to answer practical questions in yet more systems. For example, he’s begun work on a hydrologic model of Denver’s Cherry Creek, which has experienced a 568 percent increase in paved land and a 98 percent decrease in agriculture in the last six years, one of the most rapidly urbanizing watersheds he’s ever seen. I am so pleased to see Mines’ growing efforts in the area of water resources. The school had neglected this vitally crucial area of engineering for too long, and I am optimistic it will find itself among the leading institutions in this area as it has in others with its reputation of being among the best in the world.